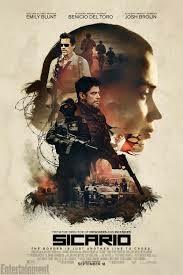 Unsure of what lies ahead ~ or why she was chosen to participate ~ Mercer must place her trust in the hands of Lead agent Matt Graver (Josh Brolin) and their inside informant/Hired Killer Alejandro (Benicio Del Toro). As both sides fight to WIN THE WAR, it seems that Alejandro has more than one objective driving him in taking out those who control the cartel and who have personally done him wrong!!! !